Much of the Middle East is in a continuing state of visible, often revolutionary, change in almost every field--social, cultural, economic, political. Although time will have greatly modified the conditions here presented, the author emphasizes those aspects which, being the least ephemeral, were likely to remain valid for some years and indicates the areas in which the most change can be expected. Therefore, in evaluating any change that has occurred, the reader will at least be informed of the conditions out of which--or because of which--such an event occurred.In some cases Longrigg passes over important aspects of the Middle Eastern region and its component countries, almost or entirely in silence: among such aspects being those of military resources, prominent personalities, constitutional or legal issues, budgets and balances of trade. And even on matters upon which he has said something fairly specific--topography, races and languages, religions, climates, natural resources and agronomy, industry, communications--there may be too little detailed information to satisfy a reader desirous of a full picture of a given aspect of things in this or that territory. 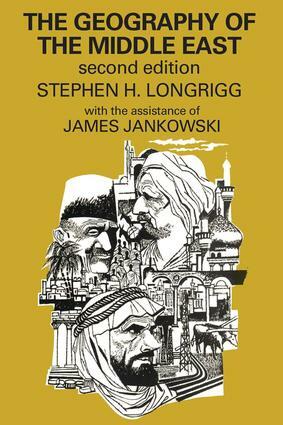 For most of such detail, and not less for an appreciation which may be widely different from the author's, the student can very easily look elsewhere: the literature of these countries is abundant and accessible.Longrigg's attempt has been to offer an objective but informed account of the different nationalities and social forces found in Middle Eastern environments, urban and rural, in terms of the particular circumstances, problems and hopes of the dozen separate and more or less divided states of the region. The non-specialist reader may from all this learn something true and perhaps suggestive, while the expert may find not too much to offend him.